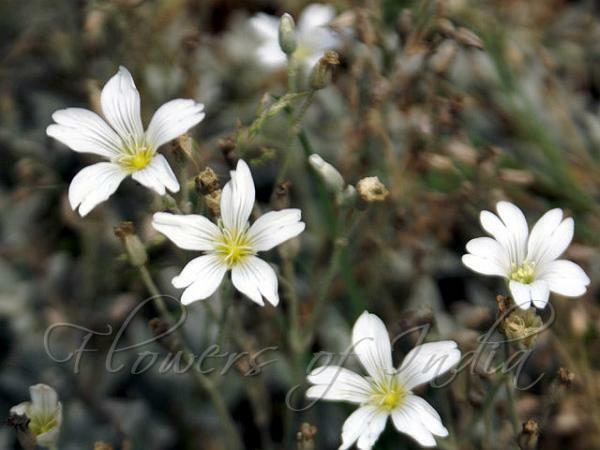 Snow-in-Summer is a vigorous, spreading, low perennial herb with gray, downy leaves and stems. It grows in a low, fast spreading clump. The stems and leaves are silvery-grey. Flowers are star-like and white and about 1.5 cm across. Five petals are spreading and deeply notched at the tip. 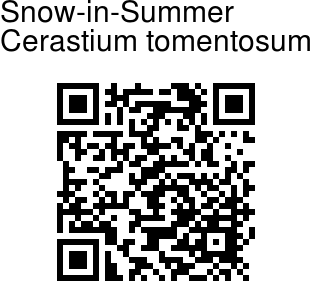 Snow-in- Summer is native to the American continent, cultivated in colder parts of India.